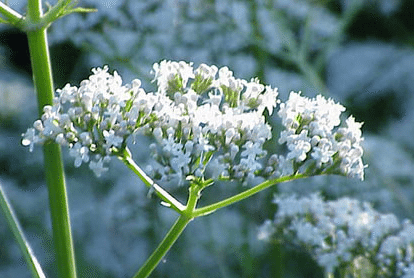 My series on compost preparations concludes with this post focussing on BD507, more correctly known as Valerian Preparation. BD507 is a compost preparation made from Valerian (Valeriana Officinalis), a perennial herbaceous plant with triangular or prism-like leaves which have a very distinct vein structure. The triangular shape of the leaves indicates its relationship with light and light forces. Valerian is also associated with warmth and is linked to the planet Saturn. The Valerian plant has a relationship with light and warmth and brings these properties into the natural system. It stimulates microlife to make phosphorous available, and as discussed in previous posts on Phosphates we know how important this nutrient is. This is particularly important in the Northern Hemisphere, where it is used to raise soil temperatures for agriculture (applied directly it can result in a 1-2 degree increase in temperature of the soil). Here in South Africa, soil temperature is not such an issue but Valerian Preparation is used in compost production and Cow Pat Pit to improve phosphate processes and as a result photosynthesis in plants, generating increased chlorophyll giving vibrant green leaves. Valerian is a perennial plant that produces perfumed flowers in early summer. It grows fairly easily from seed and is sown in spring or autumn (be cautious of frost when establishing). Flowering early in spring, the flowers are harvested during an ascending moon and it is recommended to do so when the moon is in an Air/Light constellation (Libra or Gemini), thus enhancing the relationship with light. Harvesting during this phase is also thought to prolong the life of the preparation. Bear in mind that BD 507 has a great relationship with light and we should do everything to focus these rhythms and influences. Unlike many other biodynamic preparations, the flowers are not dried but are milled or bruised in a pestle and mortar. The crushed flowers are then mixed with distilled water (with a ratio of 20:80 i.e. 20% solution) and placed in a glass jar on a windowsill in light where they remain for a week imparting energy and focus to the water. The preparation is then filtered (I use a coffee paper filter for this), the flowers are discarded and the liquid is returned to airtight glass jar, filled to the top and overflowing to exclude any oxygen, and is then placed in a dark cupboard until needed. Because of the strong V structure of the valerian flower no organ or container is needed to enhance the preparation. BD507 is used in compost preparations. Using the tincture, make a 5% solution and then use 10mm per 13.5 litres of rainwater. This liquid is then dynamised for 10 minutes. This may sound extremely diluted but this solution is strong enough to influence a 5m3 compost pile. Most preparations are placed directly into the compost but BD507 is applied in two ways; half is poured into 2 holes made in the compost, and the remainder is sprinkled over the surface. Now that I have worked my way through the compost preparations, my next post with look at BD508, known as a general ‘health tonic’. been wanting to practice Biodynamic farming. my idea is to just do while studying it. heard this old hand in biodynamics via podcast from australia say the only time the BD preps don’t work is when you don’t use them. I agree the sooner you get applying the preparations and overall concepts the better, don’t get caught up in doing it perfectly just do it and the perfection will come with time. I would suggest reaching out to the New Zealand and or Australian BD associations, possibly they have some knowledge of practitioners in your region. Hope this helps in the interim until you get things going and producing your own preparations. There is already a Biodynamic group in the Philippines. I have visited a number of BD farms over a period of 10 years (1999-2010).